Born in Barcelona in 1962 José Luis Montón made his debut as a concert artist there in 1989. He began his musical studies at an early age, specializing in flamenco rhythms. In this year, he won the First Prize in the International Competition of Barcelona and Nimes (France). In 1993 the Circulo de Bellas Artes de Madrid gives him the Teatro Pavón Cup. 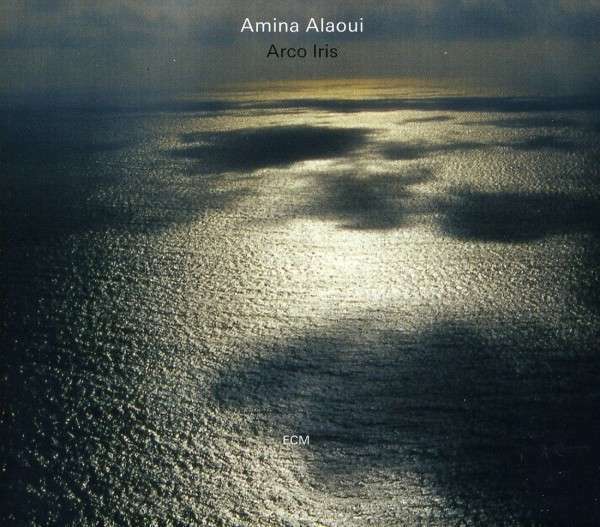 José Luis Montón made a vital contribution to moroccan singer Amina Alaoui’s “Arco Iris” (2010) and during the session producer Manfred Eicher determined that a Montón solo project would be highly appropriate for ECM. So "Solo guitar" was recorded recorded in Lugano in 2011. It’s a major artistic statement. With its programme of Montón compositions drawing upon the melodic subtleties, rhythmic vitality and emotional power of flamenco, making connections also to classical tradition, it can at once take its place alongside the label’s finest solo guitar albums. You can hear an excerpt here. In 2001 José Luis composed the music for the new show of the National Ballet of Spain, where it operates as a performer and composer. Twice, in 2001 and 2002 he interprets the Concierto de Aranjuez by Joaquin Rodrigo, at the Teatro Principal of Valencia Valencia with Valencia's Orchestra directed by Joan Cervero, and the next year with the Brastislava's Orchestra directed by David Herrando. He wins again twice the award for best original music for dance in the Teatro Albéniz (Madrid) "2003 XII Choreographic Contest" and "2004 XIII Choreographic Contest". From 1993 to 1994 he's Lead Guitar in the show "Flamenco dancing Summit" represented worldwide, among others, Sadlers Wells Theatre and Albert Hall (London), ABC Theatre (Tokyo), Teatro Tapias (Puerto Rico), Teatro Emperador (Belgium), International Festival (Houston), International Festival of Paderborn (Germany), Festival Setback in Sydney (Australia), guitar World (Buenos Aires) Festival; with the group "El Foro" and the show "The Night of the Guitar" (Utrecht). His recordings as a leader include "Flamenco entre amigos" (1996), “Aroma” (Auvidis, 1997), “Sin querer” (2000), “De la felicidad” (2005), “Flamenco Arabe 2” (2006), “Flamenco Kids” (2010) “Flamenco Etxea” (2011). Montón’s current projects-in-progress include “Clavileño”, described as “a new way of feeling Spanish Baroque music”, tracing rhythmic dances of the Baroque back to Arab origins. He is also presenting a show based upon Bach and flamenco rhythms in Seville in April 2013, and collaborating on a programme of Spanish Songs of the 19th Century with classical guitarist David González and singer Clara Montes. He created La Banda del Aire to develop his instrumental side, and José Luis Monton Quartet where he presents his work as a songwriter. I have the memory that I bought my first guitar working an entire summer, with all my friends leave on holydays, and I remember went to look for it at a bus station where it was sent, accompanied by my father. It was amazing and the guitar seemed to me the most wonderful thing in the world. How did you learn to play? What do you remember as important in this process? I remember my teachers, my uncle Miguel who woke my hope, Paco Arroyo who taught me the flamenco nad Miguel de Badajoz the rhythm, and the grandmaster Juan Trillas who showed me how to look inside myself. In my work "SOLO GUITAR", surprised me all that can be voiced from the most intimate without anything accompanying it. Depict one image, one sound or one idea you're really interested in? Sea waves have a constant but always different rhythm, that's the way I see the dynamic when I play. Where are your secret roots? What are your influences? My roots are in Flamenco, my influences everywhere. The first album I bought was Paco de Lucía en vivo desde el Teatro Real and last Canción Andaluza also from Paco de Lucia, I purchased many other more, especially folk and popular music. What quality do you empathize with most in a musician? The quality that I value most in a musician is the ability to thrill, to move, often go hand in sincerity. A good tip was that I did not look like myself in all my compositions and let things flow. Tell me one musical work which has provoked a change in your sound? For me, play the Concierto de Aranjuez and the Chaconne from Bach gave a turn to my interpretation and to the way I look for for the sound necessary to communicate the mood. What do you dream -musically speaking- about? I dream with contribute with my bit to help the flamenco guitarists, and musicians in general, to feel free to be themselves, without staying on the surface. I'm finishing next and third show of FLAMENCO KIDS, preparing next recordings with my quartet, with the Argentine guitarist Guillermo Rizzotto, with the narrator Ana Griot and more projects and collaborations with other artists like Maite Martin, Maria Berasarte, Ara Malikian, Mariano Cruzeta, Lola Greco and of course my concerts "Solo Guitar"
José Luis Montón: Guitarra flamenca. Odei Lizaso: Tabla hindú y otras percusiones. Piruchi Apo: Voces en "Tiempo Denbora". María Berasarte: Voz en "Fiesta Jaia" y "Kopla Berriak". Carmen París: Voz en "Lau Haizetara". Xavier Euskitze: Recitador en "Lau Haizetara". Atef Sobhy: Bass and programming. Ossama Al Hendy: Keyboards & bass. 11 Romance de Curro "El Palmo"
Tomasito, Eva Durán y Miguel de la Tolea: Cante. Renato Anesi: Mandolina, guitarra y cavaquinho. Juan Diego Mateos: Guitarra y palmas.